Fans say Brianna Decker beat out a male player but he still got the prize money. camera (Kyle Terada/USA TODAY/Reuters) USA women's ice hockey player Brianna Decker in the premier passer competition in the 2019 NHL All Star Game skills competition at SAP Center, Jan 25, 2019, in San Jose, Calif.
Social media exploded with outrage after a female hockey player at the NHL All-Star skills competition on Friday was not awarded prize money for an event she seemingly won because they say nobody officially recorded her time. 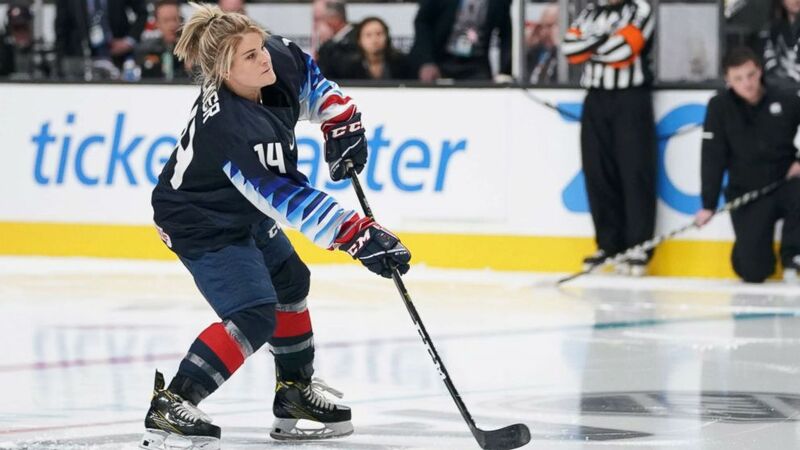 Brianna Decker, a player for the U.S. national women's hockey team, beat out even the male NHL athletes at the premier passing event during Friday's competition, getting an unofficial, record-breaking time of 1 minute, 6 seconds, according to ESPN. Her time wasn't broadcast at the event, however, and Leon Draisaitl, a player for the Edmonton Oilers, was credited with winning the event and receiving the $25,000 prize. His time was 1 minute, 9 seconds, ESPN reported. "She beat me. Wow. That is impressive. That's really impressive. 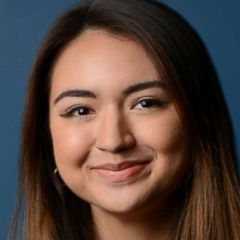 Good for her," Draisaitl said after learning of Decker's time following the event, according to ESPN. 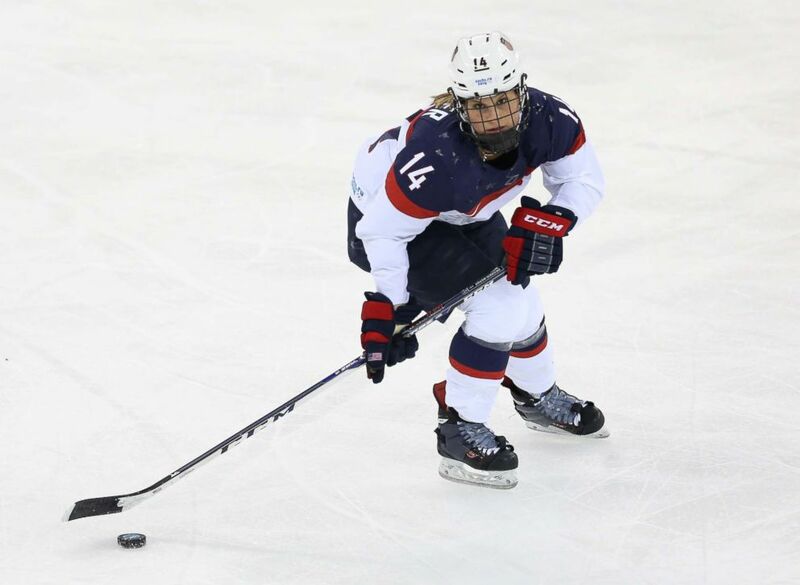 (John Berry/Getty Images) Brianna Decker USA in action during the Women's Ice Hockey Preliminary Round Group A game between USA and Canada on day 5 of the Sochi 2014 Winter Olympics, Feb. 12, 2014, in Sochi, Russia. It wasn't until a fan posted a clip of Decker's performance on Twitter, showing her clearly as the winner, that social media exploded with outrage and the hashtag #PayDecker was born. While the NHL has not publicly commented on Decker's time, the Canadian hockey products manufacturer CCM stepped in, lauding Decker's time and saying they would pay her $25,000. "We understand the importance of recognizing female hockey players and are pleased to give you the 25,000$ that you deserve," the company said in a statement. Decker thanked CCM via a tweet for "supporting the men's and women's game equally!" The NHL also announced after the event that they would donate $25,000 each for all four of the female hockey players that attended Friday night's All-Star event to a charity or hockey program of their choice. Decker thanked fans on Twitter for the "generous donations" that poured in after the social media campaign, and even lauded the NHL for everything it "has done for women's hockey and the sport as a whole this weekend." Thank you from the bottom of my heart for growing the sport and we cannot wait to impact others through your generous donations. Also thank you to all the fans who came out to support all the athletes this weekend. As we all know that we can’t accomplish anything without you all! (Kyle Terada/USA TODAY/Reuters) USA women's ice hockey player Brianna Decker in the premier passer competition in the 2019 NHL All Star Game skills competition at SAP Center, Jan 25, 2019, in San Jose, Calif.